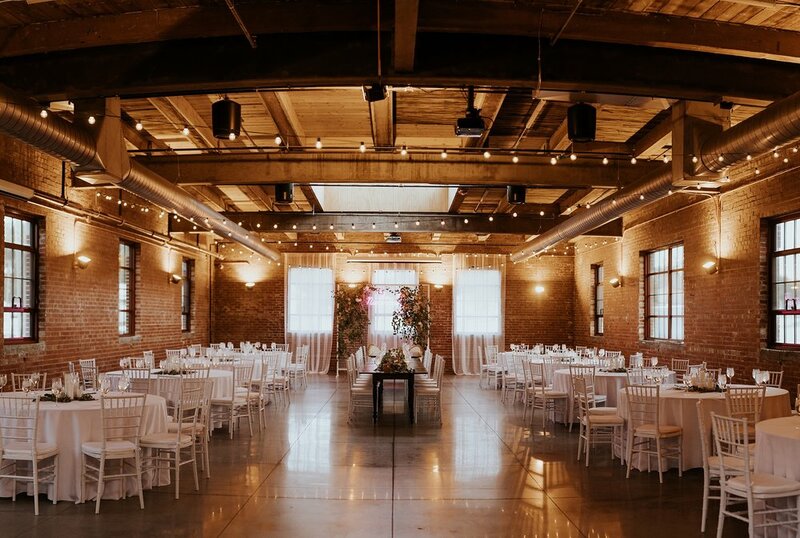 Caitlin and Alex’s wedding in Midtown Omaha at The Omar was definitely a wedding to be inspired by. 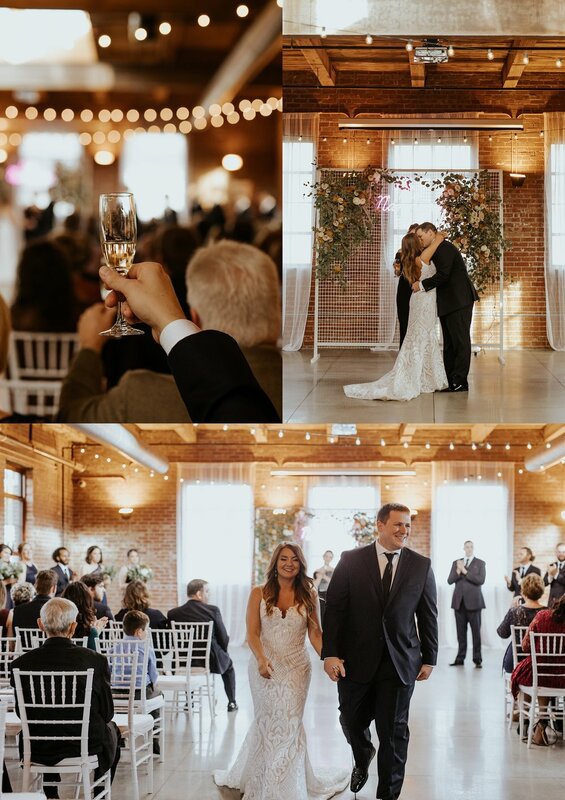 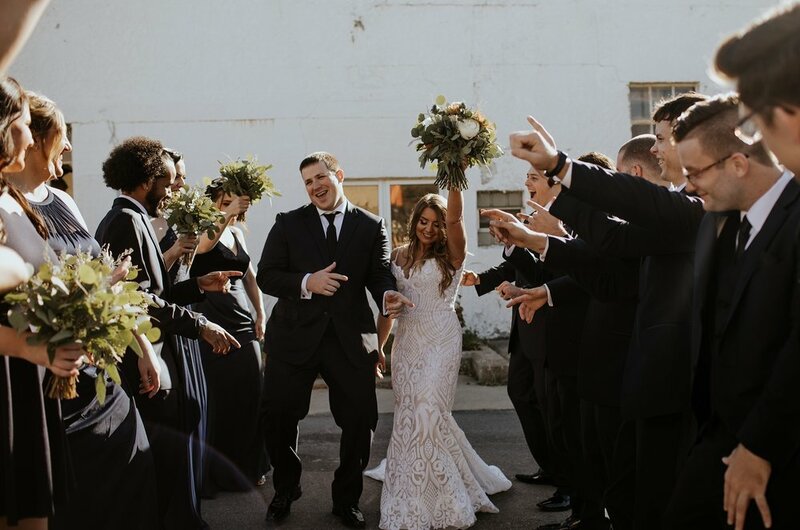 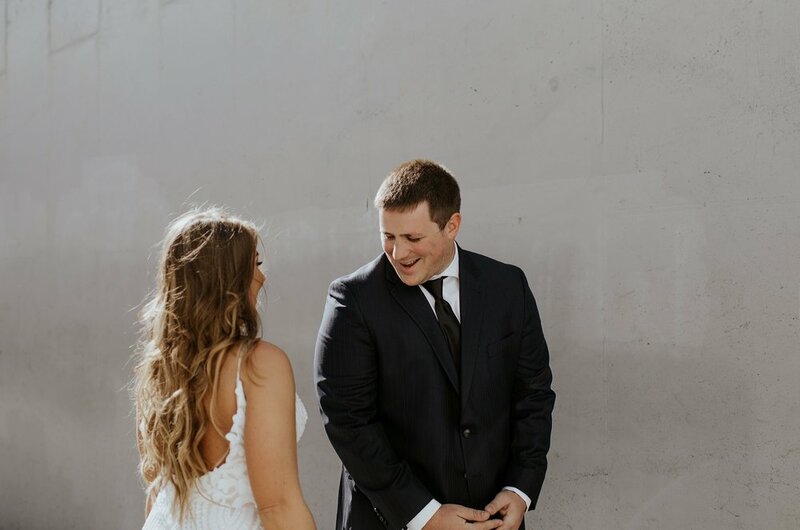 They were intentional about including elements that represented their style as a couple, including a champagne toast to ring in the new Mr and Mrs post-ceremony kiss! 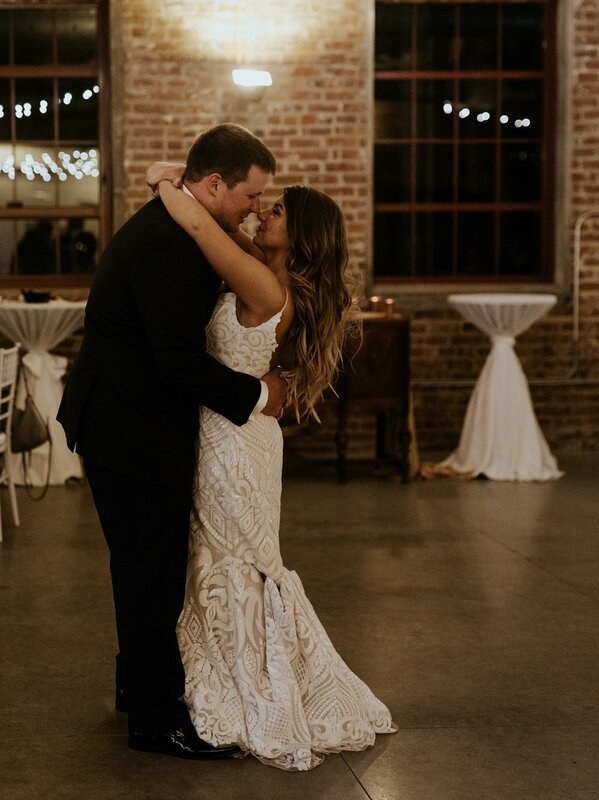 Caitlin looked absolutely stunning in her gorgeous Hayley Paige gown from Rhylan Lang. 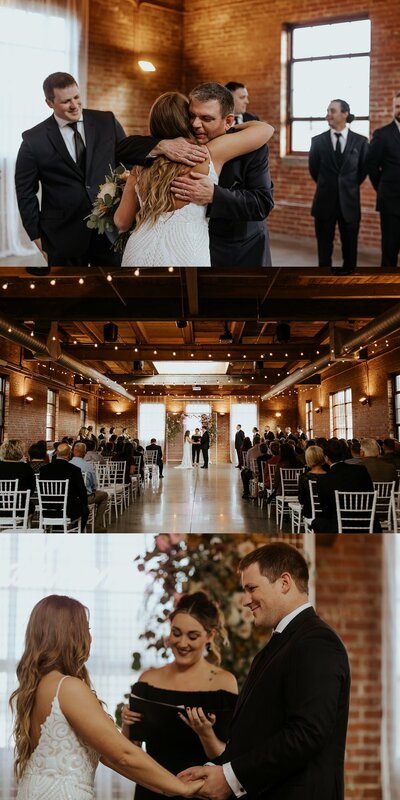 Blooms and Bouquets took their vision and completely transformed the Omar in the best way possible (I mean, that balloon arch though!). 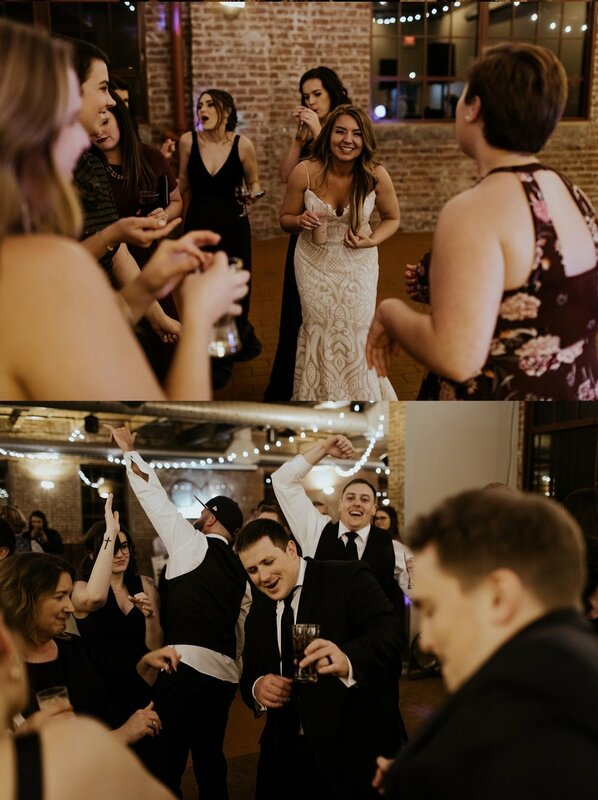 I loved witnessing the beautiful relationships these two had with their friends and family, including the heartfelt toast from the bride’s mother to the couple. 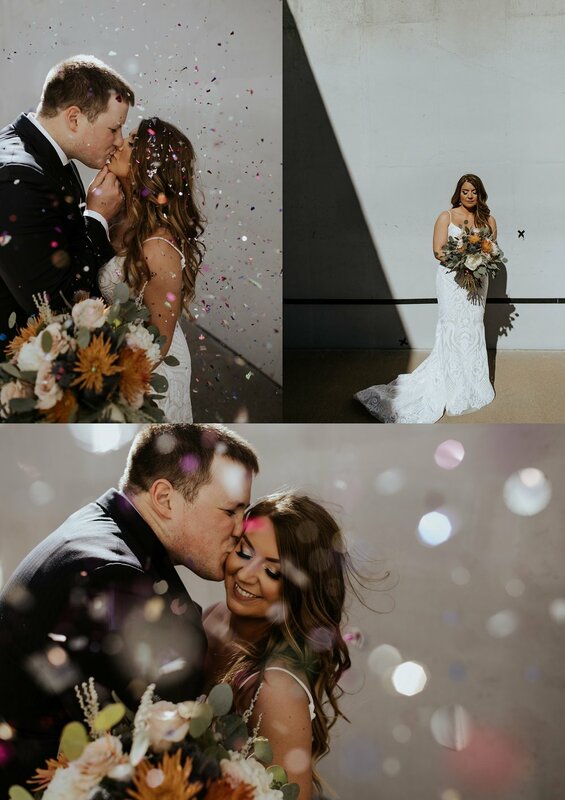 I’m throwing all the confetti saying cheers to these two are they start their life as husband and wife!